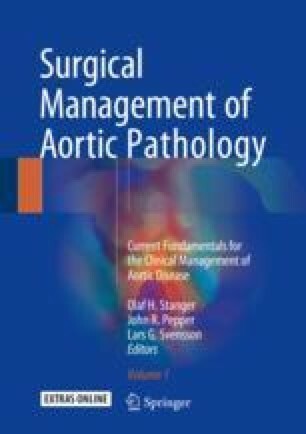 Spontaneous acute type-A aortic dissections (AAD) are life-threatening conditions occurring with an incidence of approximately 20–30 cases per million people per year [1–5]. Operative mortality and morbidity remain high despite numerous technical advances. The fundamental roles of mechanical conditions, genetic backgrounds, and triggering events in primary dissections have been reviewed in depth elsewhere in this book.